A few months ago, there was only one place to go on Dresden for a slice. You may not have heard of it. Good. Because now there is a seriously can’t-miss place to go for a Napolean-style pizza pie worth ordering all to yourself. Actually, you’ll probably need two. And afterward, you won’t care about another place to get pizza. Vero opened in December as the third party to the Dresden gang that includes Valenza and Haven. Chef Matt Swickerath (of Valenza) has been one of our favorites since our very first Anheuser-Busch beer dinner back in 2009(ish). He served up rabbit and changed my life opinion of the delicacy. We’ve been regulars there ever since, so when we saw he was the Exec Chef behind Vero, deciding to try it didn’t carry a lot of hesitation. Even more so, the research, experimentation and authenticity these guys put into Vero makes it doubly worth the ordering-more-than-you-can-eat plan. For starters, Chef Matt worked on the dough for months, perfecting his own recipe and teaching his Valenza guys how to get it just right. For this reason, don’t ask for them to alter the portions. The 7,000-pound oven was built by the same guys who built Antico’s oven – meaning, you can get the same cook quality, but with much friendlier service. The shop is rustic and handmade. The ordering style is unique (you order at the counter, but no one forgets about you once you sit down) and the menu is creative. Expect some of Valenza’s favorites to cross over (i.e. the famous meatball comes sliced on a pie). 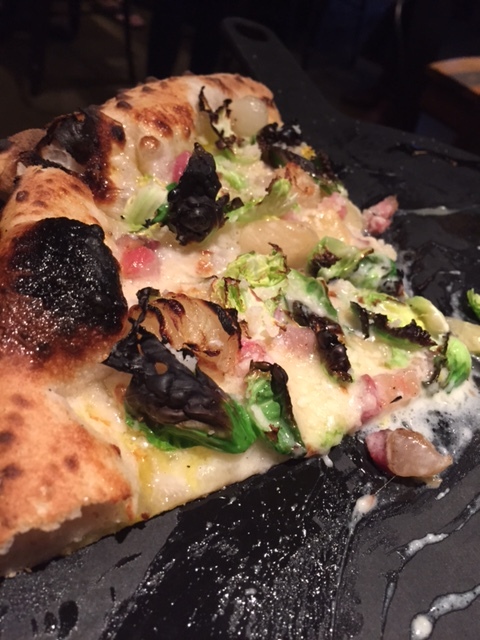 Definitely go out on a limb and try brussel sprouts on pizza. 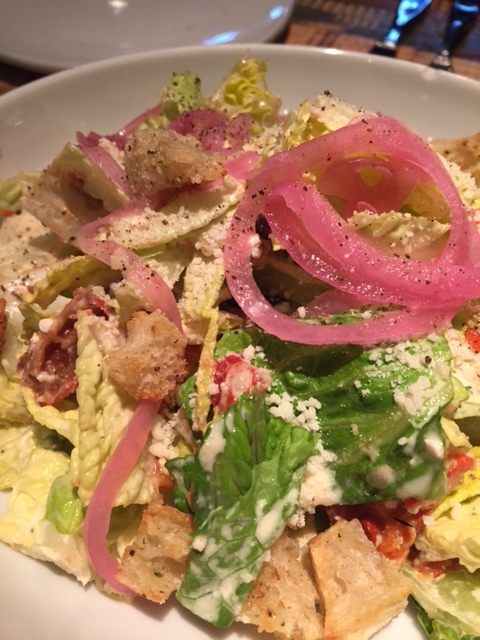 Start with the Vero salad – a perfect blend of texture involving crunchy romaine, juicy kalamata, sharp feta and sweet and tender sun-dried tomatoes. 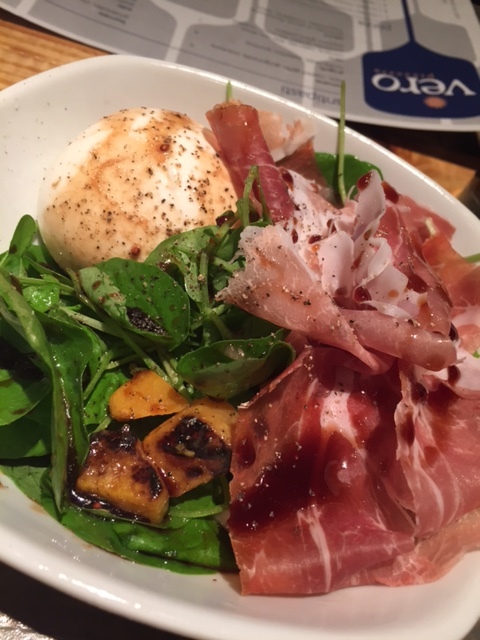 Find a place for a real treat and order the burrata for a creamy explosion of flavor that includes prosciutto and charred winter squash. We also tried the wood-fired veggies to see what the powerful oven could do to something other than a pizza. Worth it. The carrots almost threatened the room we were saving for said pizza. Not to worry though. We indulged in both aforementioned pies, my husband I each picking a favorite that you can guess. 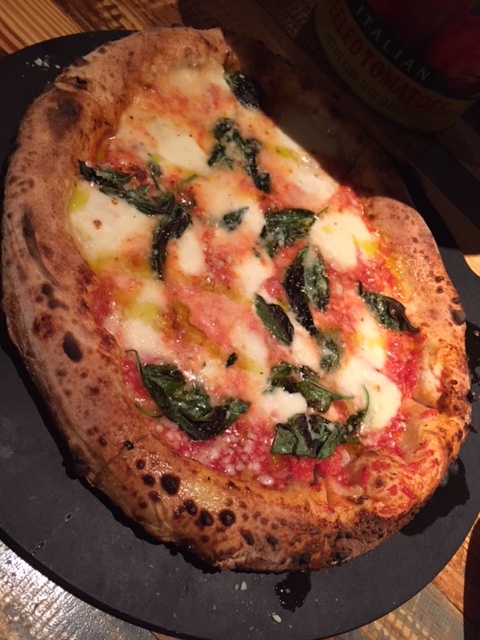 We also devoured the classic tomato, mozzarella and basil, literally licking the excess olive oil off our fingers. When we go back, I won’t resist the curious Sapelo Island clam pizza or the one with a fresh farm egg cracked over top. Despite my big eyes, the belly can only bear so much. How does it compare to the several other brick-oven pizza places? It’s delicious, as are most. But here are two reasons to choose Vero: An ex-Armed Forces guy seated behind us said this was the only pizza he’d ever had that reminded him of growing up in Naples. So, if you’re looking for authenticity, I would say that’s pretty much the definition. Secondly, it’s got an unbeatable combination of ambiance, easy parking, unique wines and reasonable prices. Did I mention the chef is a super cool dude? See their menu here, but a better idea is to just make dinner plans now.